Looking to keep the drinks flowing all day/night, but not sure if your budget can handle it? Here are some fun alternatives to a traditional open bar that your guests will enjoy. Keeping it Local: Create a bar using various microbreweries and vineyards from the region you are getting married. On the menu, list the location where each of the beers and wines are produced. Martini Menu: stock up on olives, gin, vodkas and fun liqueurs. 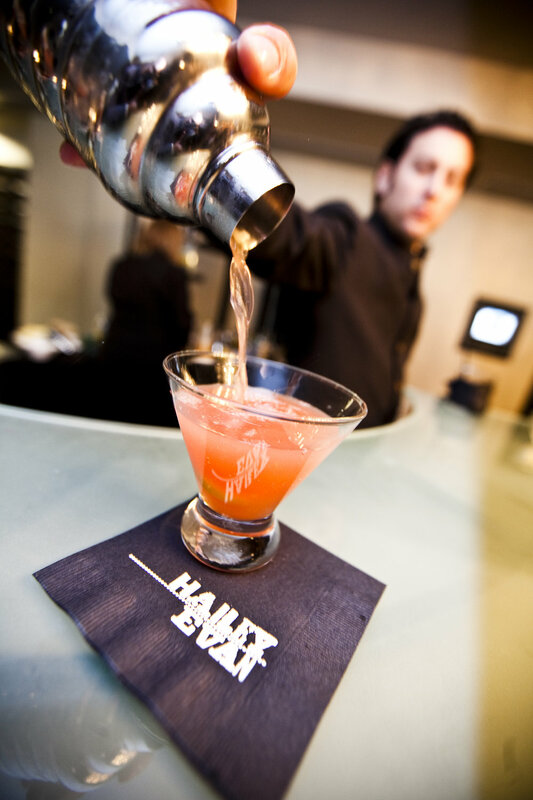 You and your fiance can create a large list of all the different martini concoctions available. This is perfect for a retro, vintage or old fashion fete inspired wedding. Mimosa Bar: Mimosas do not have to be reserved just for brunch, why not serve the celebratory drink at night too! Have your bar tenders pass a glass of Prosecco (much less expensive than champagne) to your guests and instruct them to visit the mixing bar. At the mixing bar have various juices, purees, and fresh fruit available. Guests will love creating their own mimosa or Prosecco cocktail. His and Hers: Create two fun cocktails that will channel your personalities. Make sure to the cocktails are different in liquor to offer guests a variety. On the menu tell a little story about why each of you selected the cocktail. Guests will love drinking your favorite cocktail and knowing why!